How do I claim a New Your Lottery prize that I win? You can claim a New York Lottery prize by going to any retailer if your prize is less than $600. This can only be done within 45 days of having won a New York Lottery prize. After this time the New York Lottery prize can be claimed from any at one of the 15 New York Lottery Regional Customer Service Centres state-wide. Prizes above $600 can be claimed here as well. All tickets expire after 1 year from the date of drawing. The New York Lottery centres can pay you prizes up to $500000. Jackpot prizes can be claimed here as well but Jackpot prizes are sent to Prize Payment Unit in Schenectady. You can send your winning tickets and receive payment through mail as well. Why don't New York Lottery retailers pay even when I have a winning ticket? Retailers will always pay for any prize less than $600. Anything above $600 can be claimed at any of the 15 New York Lottery Regional Customer Service Centres. What to do if I lose or misplace by New York Lottery ticket? The New York Lottery tickets are just like currency. Anyone can claim your prize if they have your ticket. You must contact a New York Lottery Regional Customer Service centre if you lose your New York Lottery ticket. How much money is withheld from my prize? For any prize above $5000, Federal, state and local tax is withheld from your New York Lottery prize. Some money is also withheld from prizes above $600 if the winner does not show a social security or tax identification number while claiming the prize. Will money be withheld from my New York Lottery prize for any due Child Support or Public Assistance? Yes! Money will be withheld from your prize if New York Lottery finds that payment is due. Can I contest money withheld due to Child Support or Public Assistance? You can context the money only if you think there is an error. You must contact your Child Support Enforcement representative if you think the money being withheld due to Child Support is an error. New York Lottery prizes can be highly affected by this. write to New York State Office of Temporary and Disability if you think that there is an error in the money withheld due to that. Why do I have to pay tax from my New York Lottery prize? The New York Lottery prizes are considered a source of income and are subject to taxes. How and when do I receive my New York Lottery Jackpot prize? 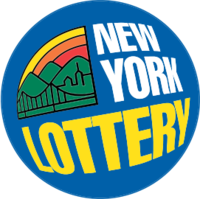 Once your prize is verified by New York Lottery, your prize will be transferred to the bank account of your choice after a public announcement is made. What are the payment options in New York Lottery? After you are enlisted for a prize above $50000, you can receive the payment in full cash or in annuity. Annuity payments will be subject to annual interest. You will receive the annual payments in 26 annual payments. How can I obtain any past New York Lottery results? You can either write to New York Lottery or visit any of their websites to find out about previous drawings. How can I be sure about the fairness of the drawings in New York Lottery? New York Lottery assures that the numbers drawn are absolutely random and not fixed. The equipment is checked regularly to ensure this. The drawings are completely videotaped and all components are observed by an independent auditor. So there is no chance of anything being fixed. The New York Lottery drawings are absolutely random. Which game has the highest winning probability? Take 5 in New York Lottery has the highest win probability. Can the New York Lottery prizes be shared? The New York Lottery Jackpot prize is distributed evenly among multiple winners if there are any. If no one wins the Jackpot, then the second prize becomes the Jackpot prize.